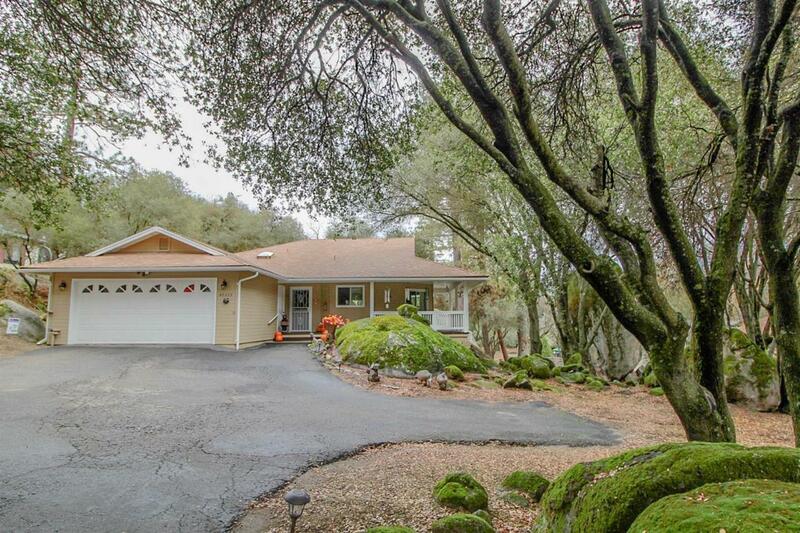 Wonderful offering right in Oakhurst. 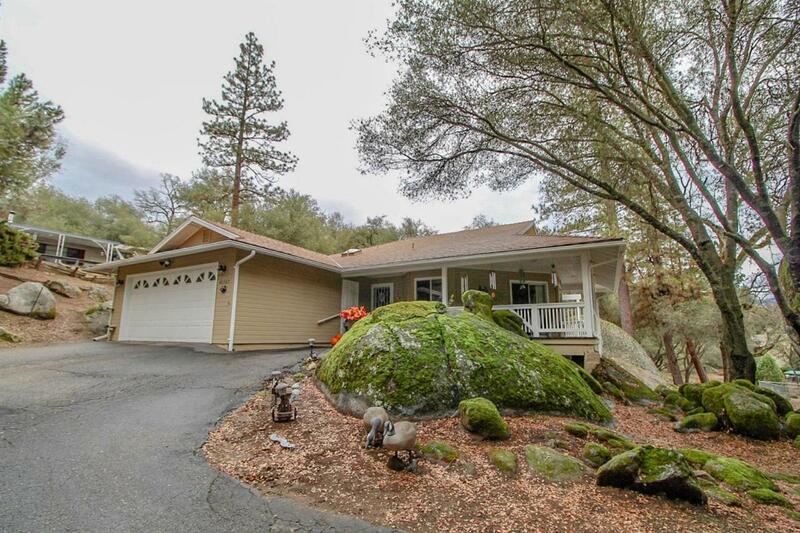 You won't believe the huge moss covered granite rock outcroppings...unbelievable as well as a wrap around covered porch/deck constructed around the granite rocks which leads you to the entrance door. Once inside you can experience a terrific open floor plan with vaulted ceilings, free standing propane stove on a brick hearth and new carpet too. 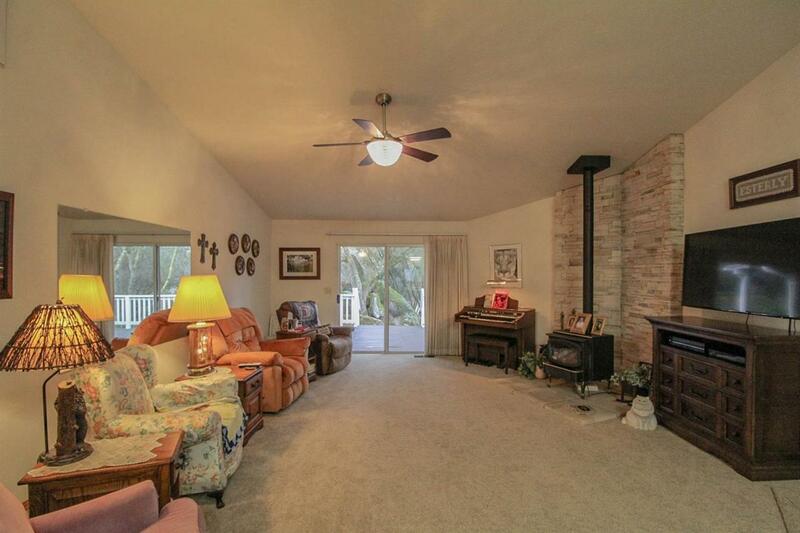 There are 3 sliding doors each exiting to the covered deck and woodsy views. The kitchen is roomy with a large breakfast bar with plenty of room for meal preparation. The master bedroom is large and you will enjoy the roomy bath with large walk-in shower and clothes closet as well. Note the slider onto the covered wrap around deck and wooded rear yard. All the vegetation is natural and trimmed making this very easy care! Did I mention...composition shingle roof is 2 years old and exterior paint is new! Make your viewing appointment today so you don't miss this beauty! Cross Street Address Acorn Dr. 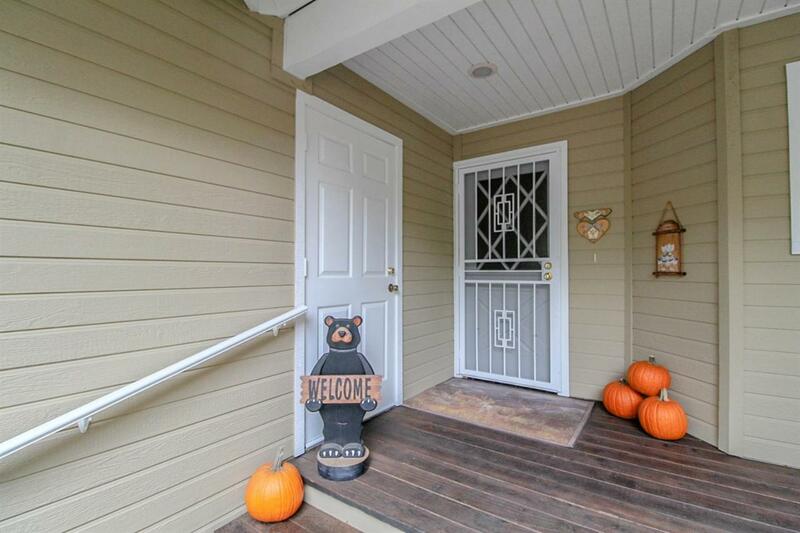 Listing provided courtesy of Claudia C Evans of Coldwell Banker Premier R. E..